As I was studying for an exam, I needed a lab with routers and layer 2/3 switches in order to prepare properly. 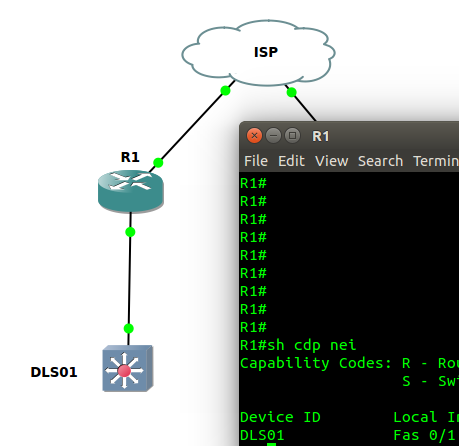 While GNS3 is very good in emulating Cisco IOS routers, it still lacks the ability to fully emulate Catalyst switches. I have some physical routers and switches available, but the routers does not have any serial interfaces, which I needed in this particular lab. 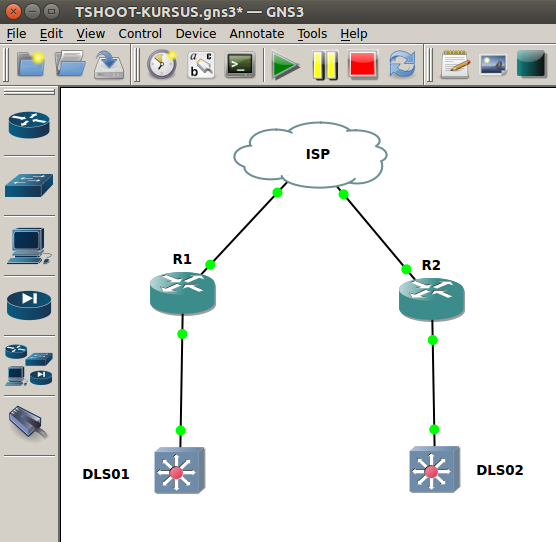 In the same lab, I needed access to some of the features in the switches, which cannot be emulated in GNS3. So why not run routers in GNS3 and connect them to some real physical switches? Apparently, the recommended switch for doing this is a Catalyst 3750, which is quite expensive, but it is also possible to use less expensive switches, although with reduced functionality. I tried with a Catalyst 3650 compact model (8 ports), and it worked great – even better than expected! I tested it first with the Windows versions of GNS3, but it never got to work properly; or, at least I did not have enough patience to get it working :). Therefore, I made myself an Ubuntu installation running of a USB3 stick, so I would be able to use it on my work laptop, without messing with the existing operating system. These configurations steps will make the VLAN interfaces persistent and disable all IP/IPv6 services on them. First, install and activate vlan support in the operating system. Create the VLAN interfaces, by adding N number of interfaces to the /etc/network/interfaces configuration file. I have used eth0 as the physical interface represented by the vlan_raw_device eth0. 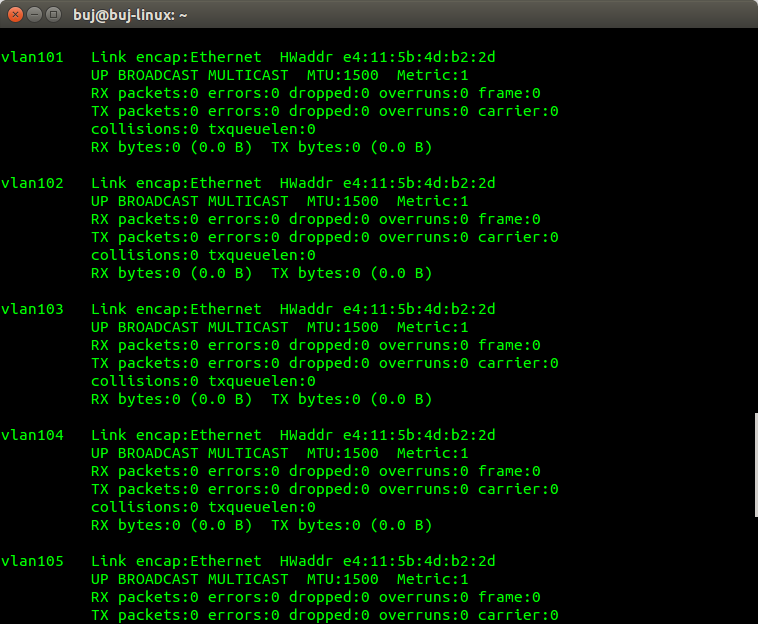 Because I do not want ANY IP configuration on the interface, the inet protocol is set to manual. IPv6 will still be active on the VLAN interfaces (if IPv6 is enabled globally on the system), and this needs to be disabled as well. I don’t want to disable IPv6 all over, but only for the VLAN interfaces. This is done by adding the following for each interface to the /etc/sysctl.conf configuration file. On the breakout switch, first create the VLANs. Configure a 802.1Q trunk port which connects to the PC with the needed VLANs allowed. Disable CDP to make sure the breakout switch itself will not show up as a CDP neighbor. Configure the ports for the lab switches. The switchport mode is set til dot1q-tunnel to make it possible for the lab to pass VLAN tags between the GNS3 routers and physical world – this is a Q-in-Q tunnel. GNS3 needs to run under administrative privileges to be able to directly connect to the NIC. In the topology, add a Cloud device, which can be found under End devices. You can change the icon to match whatever you like, i.e. if you connect a router to a layer 3 switch, change the cloud icon to a multilayer switch. In the topology shown below, the two distribution layer switches are actually cloud devices with a changed icon. Right click on the cloud device, and choose Configure. Under the configuration pane, you can add connection points to the device. 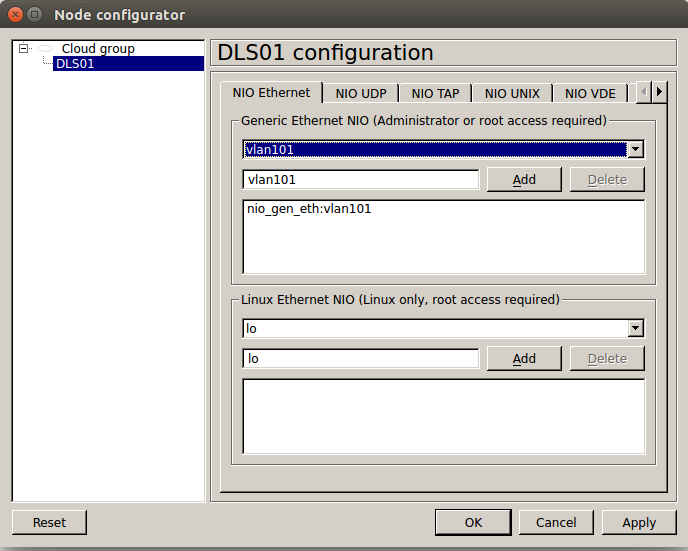 Here is an example, where the DLS01 Cloud device is having a connection to the vlan101 interface. If more connections are needed in a single cloud device, just add additional vlan interfaces to the device. In the breakout switch the vlan is associated with a switchport, and that port is virtually available inside GNS3. Screenshots from R1 and DLS01 proves that Layer 1 and 2 are working in both directions.